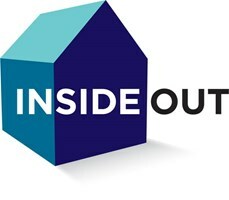 Insideout Building - Builder based in Crawley, West Sussex. Insideout Building is a well-established company delivering quality projects throughout Surrey and Sussex. The company's core values are quality, efficiency and reliability. We specialise in Extensions and Loft conversions but also take on renovations and refurbishments. We also offer a "shell only" build where the more competent clients can complete the internal works and save money. We're proud to say that we've maintained a strong belief in good workmanship and a job well done. Whatever the size of the undertaking, our whole team are aware of the responsibility they have for excellence and customer satisfaction. We have full public liability and contractors all risk insurance cover. We will project manage your build so you can get on with your regular daily life and know that tradesmen and materials will be arranged and monitored to make the build run as smoothly as possible. We can have regular meetings to keep you up to date with progress or to discuss key matters that will aid the project completing in a timely fashion. We deliver a wide range of services related to construction and renovation. We list just a selection here.